Panart Group, including a magazine and a news network, has been established with the aim of presenting the best of the bests in visual arts. Panart Magazine, as a flipping digital monthly has been in regular publication since January 2013 under the supervision of Reza Alee in EXE and PDF. The magazine’s goal is to present artistic articles, publication of up-to-date news of the digital world of visual arts, introducing Iranian emerging artists, interviewing them and presenting the artworks of the best designers. 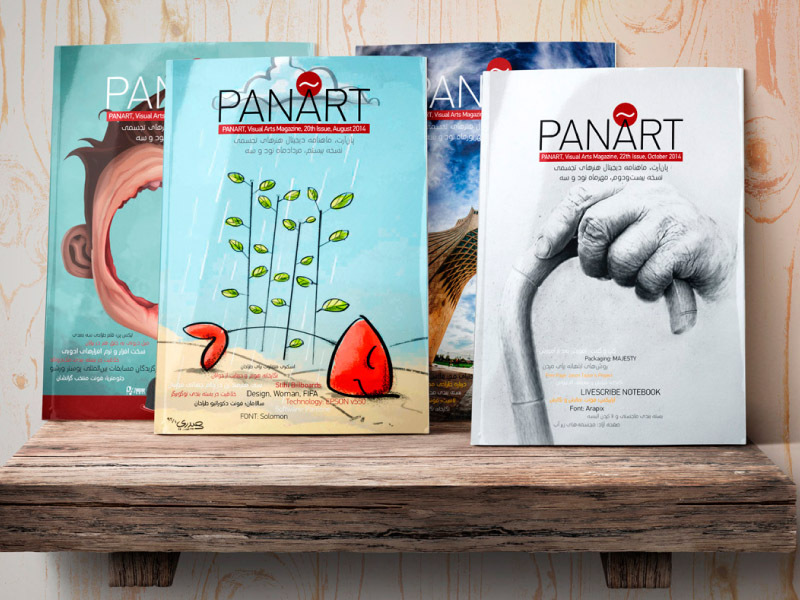 Panart News Network, as an art news network has been launched since 2013 on panart.ir with the aim of providing the world and Iran’s most recent news of art and the digital world of art, introducing international and Iranian artists, announcing calls for international art contests in various fields of visual arts. Panart Group is a NGO with no dependency to any organization which pays attention to true talented artists regardless of their reputation or education. We are honored to introduce Iranian young artist and emerging designers to the world of visual arts, while affording the bests of the visual arts for those who are interested. Panart aims to contribute to development of Iranian art and culture. We have tried to cooperate with the best well-known artists while helping young artists for finding their position in the world of art. Panart Group believes in its slogan “the Bests are with us”, and tries its best to prove it to its audience in every single part of its activities. Contact us for receive PANART Magazine download links and send your opinion.